We were asked by the owner of Bindle & Keep in Brooklyn to design furniture for his new work space. We were very excited to come up with a unique one of a kind line for Daniel. I met Daniel in June when he personally fitted me for my wedding suit. I designed and built a dining room table for his Brooklyn condo in trade for an amazing 3 piece suit! 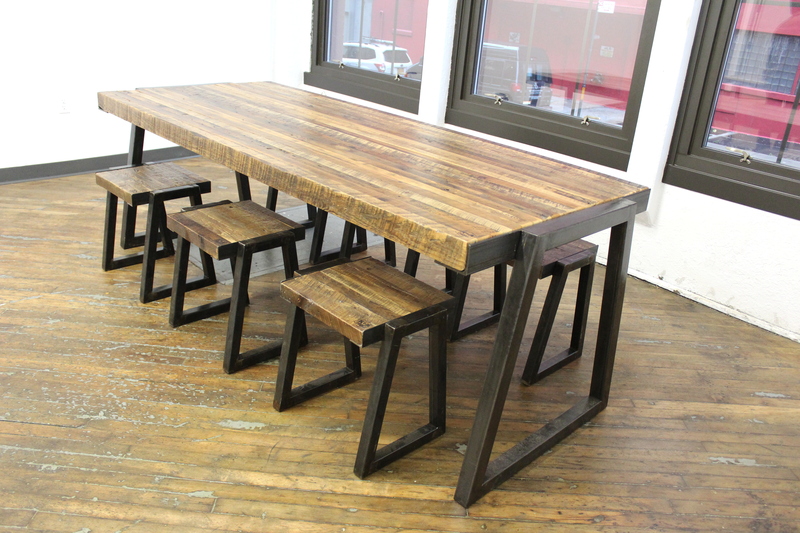 For his tables and chairs we used reclaimed heart pine from a 125 year old Washington DC row home that was torn down. I wanted the finished product have a very modern industrial feel. We hand selected each piece of wood for the tops. Pictured below is the tailor station. We also built a seven foot long work station with six chairs. 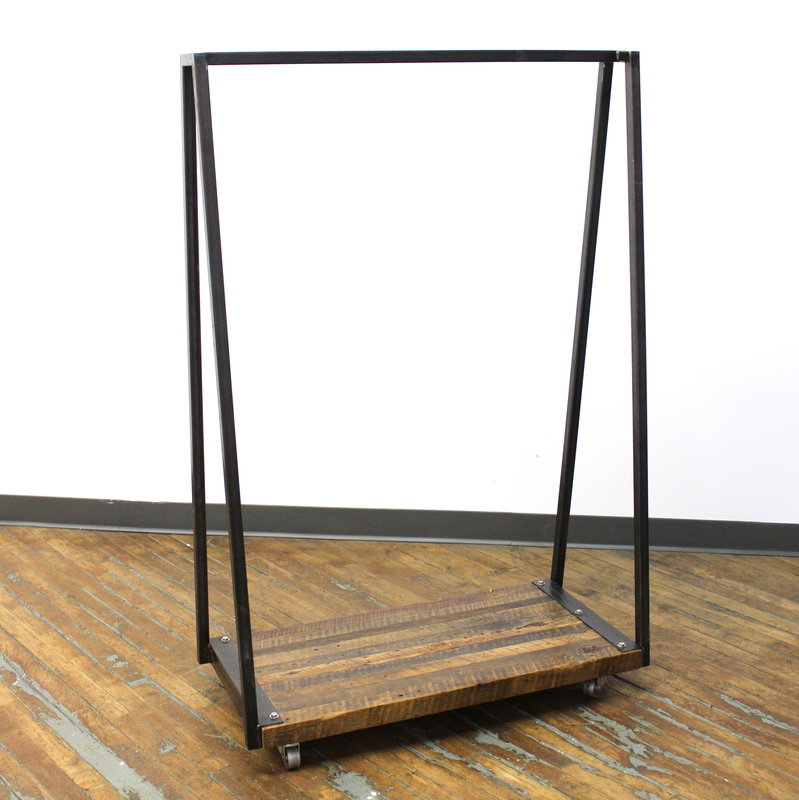 We designed a matching clothing rack for suits to hang while they are waiting to be tailored.